Customize your laser today with our accessories! 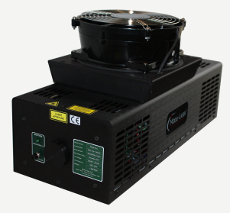 Modu-Laser offers a wide variety of argon laser products. We understand the need for a specific laser depending on your project so we take pride in our supply of argon lasers, ion lasers and more. We also provide custom laser solutions to meet your specific needs. Whether that means you want a remote control or you have specific cooling needs. Contact us today to learn more about our custom lasers and to get a quote.